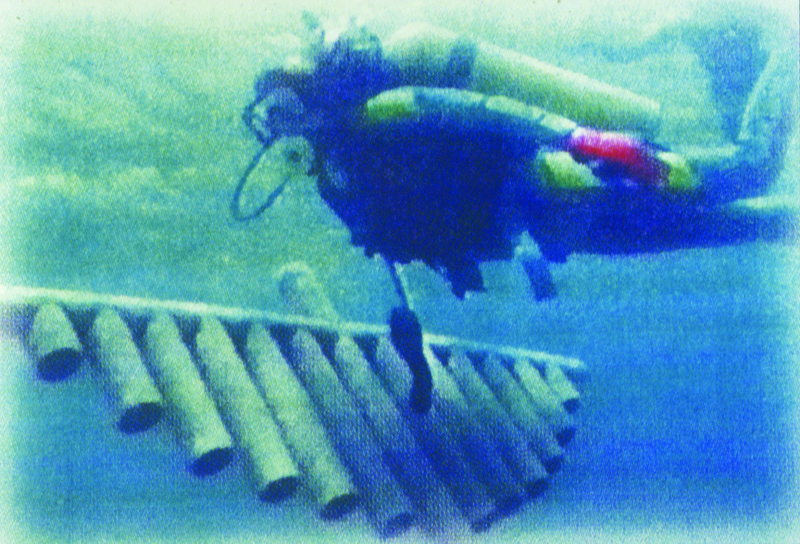 An environmental undersea sculpture, it was designed to function as an artificial coral reef. Built in 1995, it now is covered with growths of algae and areas of growth that resemble small sea fan coral. The pipes are filled with sponges and fish swim around the sculpture constantly.